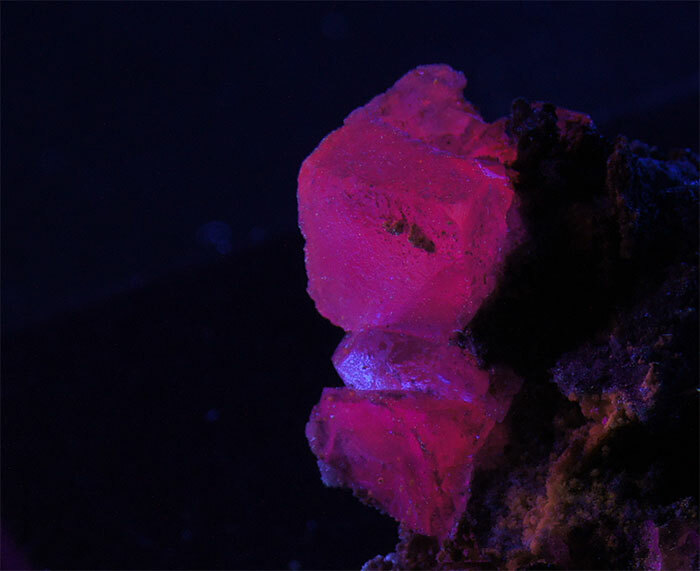 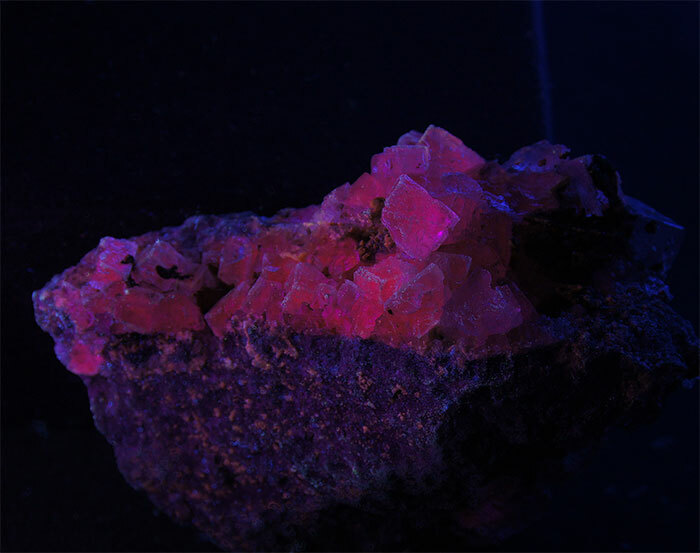 The classical fluorescing mineral but all fluorites are not luminescent under UV ! 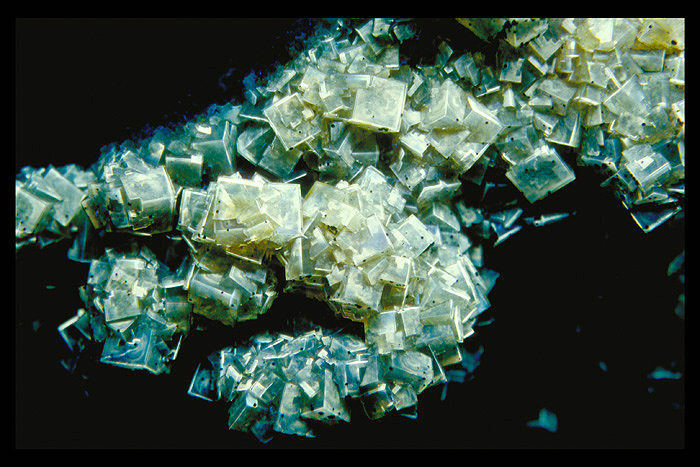 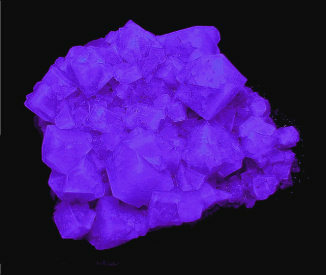 Fluorite was one of the first mineral substance being investigated by George G. Stokes in 1852, hence the name fluorescence given at the phenomen. 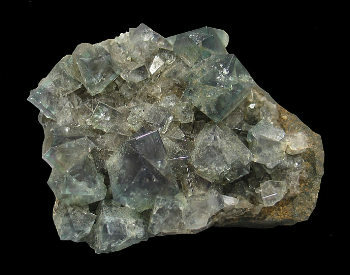 As early as 1881, it was pointed out that Cerium was present in fluorite. 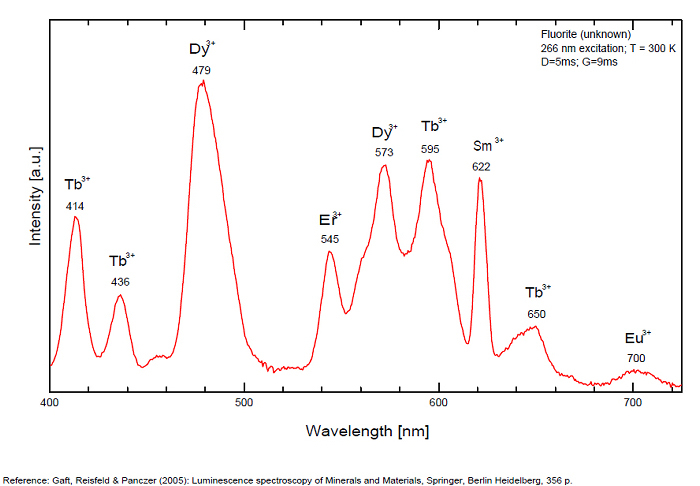 In 1906, Urbain studied the cathodoluminescence of fluorite and ascribed the cause of fluorescence to RRE (Yttrium, praeseodymium, samarium, dysprosium, europium, terbium and also gadolinium and Ytterbium in chlorophane); Morse (1907), Tanaka (1924), Nichols (1928) and F. G. Wick also investigated the cause of luminescence of fluorite. 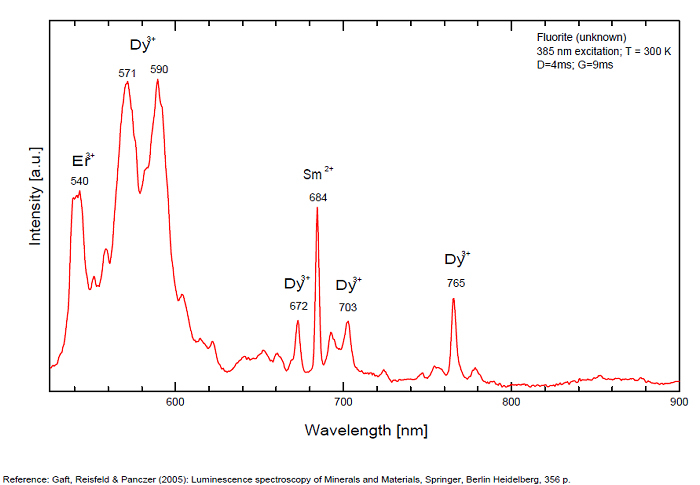 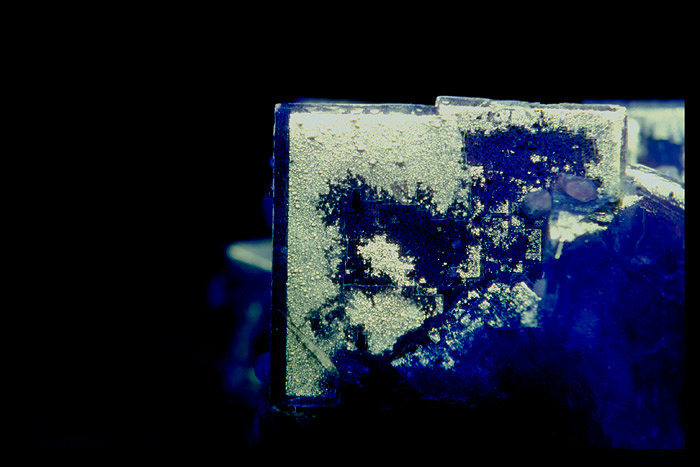 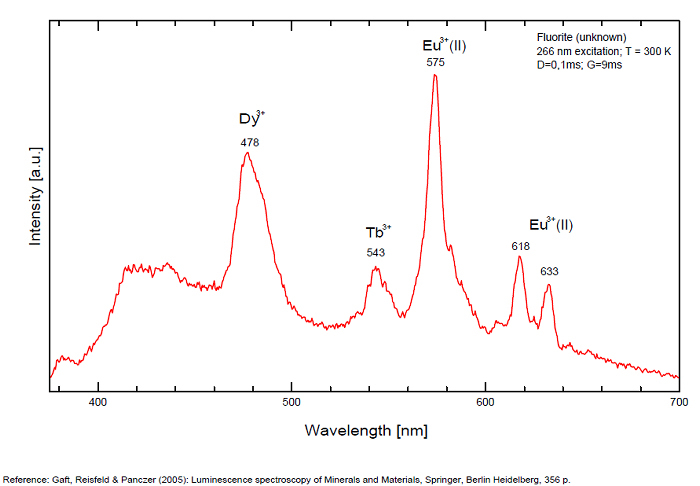 Fusion of fluorescent fluorite (1100-1200°C) changes the spectrum markedly. 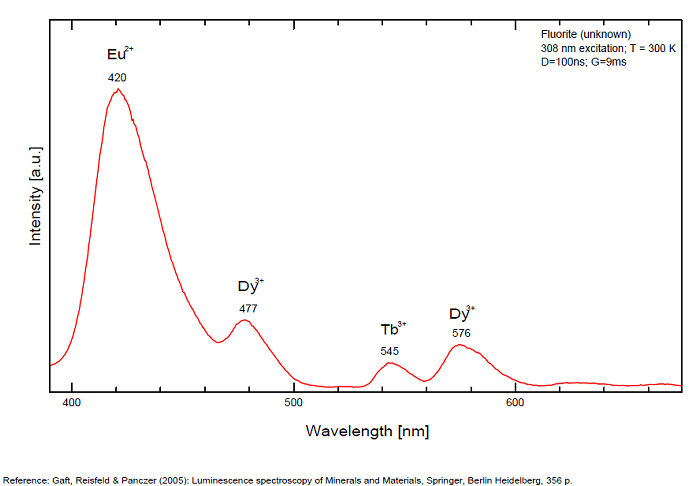 Often the blue luminescence spectrum is changed to a more orange-red, showing sharp lines typical of RRE. 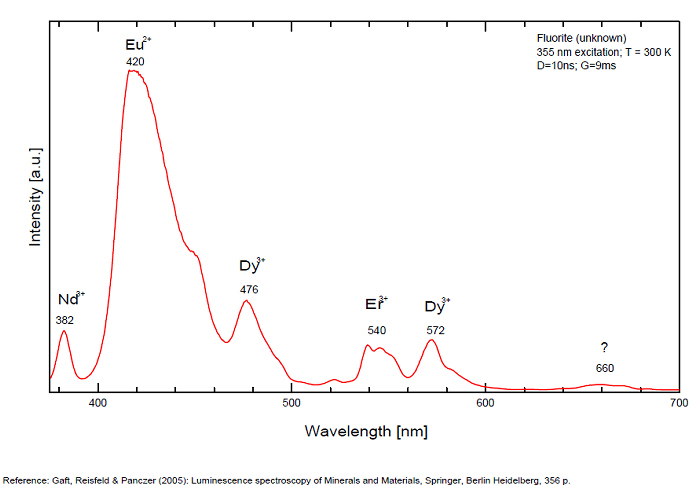 group 2: two bands in UV at 280 and 300nm and strong peaks at 475, 510, 536, 548 and 578nm in the visible.